While there is still no legal obligation under Irish law for employers to recognise a trade union, or to engage in collective bargaining, there are options available to groups of workers seeking improvements to their terms and conditions of employment. There are reports that the pilots who are currently in dispute with Ryanair may be moving to establish an unofficial trade union. They are clearly unhappy with their terms and conditions, but this is also a reflection of dissatisfaction with the level of engagement by management with the employee representative councils ("ERC's") in the organisation. These ERC's in Ryanair were established to show the presence of a "suitable mechanism for negotiation with employee representatives" and thereby avoid another application to the Labour Court for a mandatory determination on terms and conditions of employment. The former process to apply for this type of direction was successfully challenged by Ryanair in the Supreme Court in 2007, so the Industrial Relations legislation was updated in 2015, to include a statutory definition of collective bargaining. Now, an employer will have to show that its arrangements meet this definition, but if it cannot, it is potentially exposed to a Labour Court application for a legally binding determination in respect of terms and conditions of employment. Any employers who do not engage in collective bargaining can avoid this type of issue (and the ancillary operational/PR issues that ensue) by ensuring that their offering in respect of terms and conditions of employment are substantially in line with those on offer in their industry/sector. He pledged significant wage increases and improved job security but insisted these terms must be struck with the company's in-house employee representative councils (ERC). These entities, located at most of the carrier's 87 bases, have formed the bedrock of Ryanair's industrial relations strategy. However, a large number of pilots are militating to reform this structure and effectively create an unofficial union as a pan-European ERC (EERC). The concept would likely be anathema to Mr O'Leary. 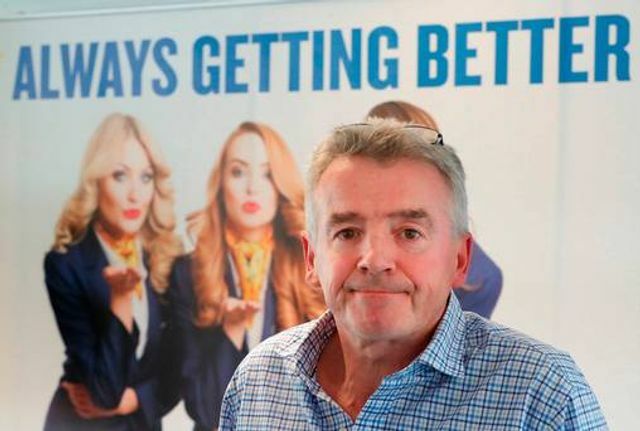 Since the airline's foundation, the flamboyant CEO has resolutely refused to engage with unions, quipping recently that "hell would freeze over" before he would welcome such organisations into the company.